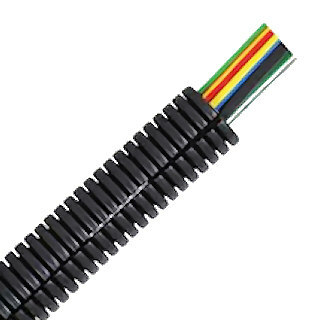 50m roll, black polypropylene deep section convoluted split tubing. 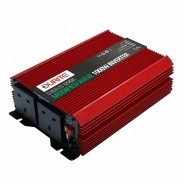 Protects electric cables and looms against external elements. NW: 7.5 (nominal width 7.5mm). 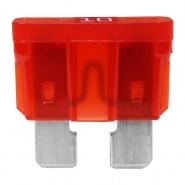 Inside diameter: 6.9mm, outside diameter: 9.9mm. 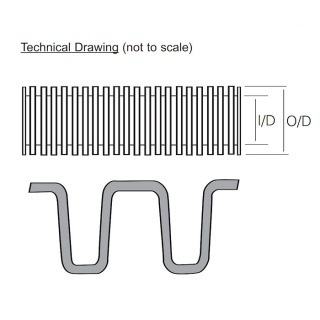 Pack quantity: 50 metre roll. 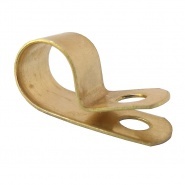 Pack of 25, solid brass P clips, for cable up to: 10mm diameter fixing hole: 5mm. 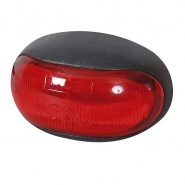 12V or 24V LED red rear marker lamp, for small vehicles like mobility cars, trailers and scooters, with leads, EEC and ECE approved. 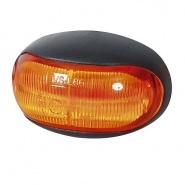 12V-24V LED amber side marker lamp, for small vehicles, mobility cars, trailers and scooters, with leads, EEC and ECE approved. 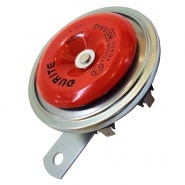 12V 420Hz high tone disc horn, 2 pole, 112dB(A), diaphragm type with passivated and painted steel body.